There wouldn't be - or shouldn't be - anyone with an interest in the Arts who is unaware of Maude and Anni Davey. Working in theatre, burlesque and circus for decades, the twins have certainly left a name for themselves. 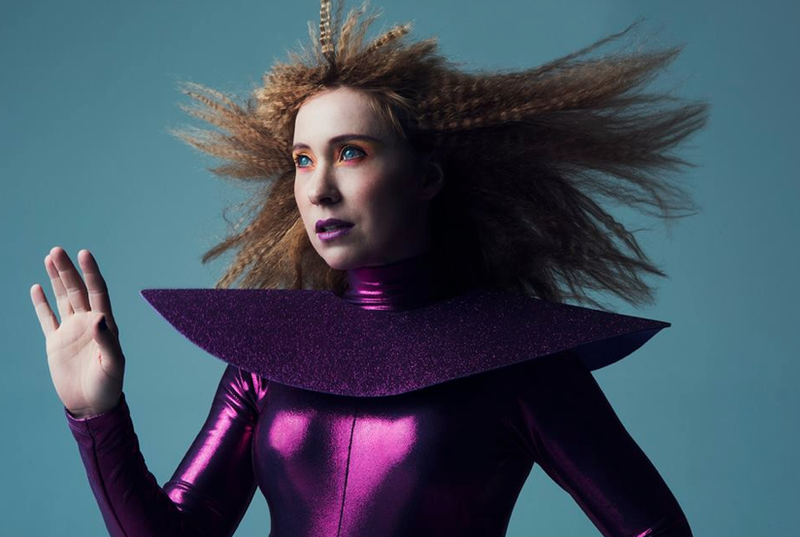 In Retro Futurismus, they join creative forces with Anna Lumb and Gabi Barton to present an evening of vaudeville entertainment with a sharp referential nod to retro science-fiction film noir pop culture. Sound like a whole lot to take in? Well it is. Aesthetically, this show is brilliant. The costumes are all eye-catching and time and time again I caught myself looking at how much effort would have gone into creating them. In terms of the acts themselves though, I was left feeling somewhat disappointed with most of the twenty or so acts seeming to lack a climax or crescendo to excitement to excitement. Having said that, performance artist Leah Shelton, stole the evening with her TV and movie homages, ranging from Hitchcock's well-known moments of suspense to a particular heartbreaking scene from Bambi. Using the original audio (sound effects included), Shelton created her own interpretations of these iconic moments. Her miming was completely in sync with the audio and her Twin Peaks inspired Chinese-pole dance was enthralling to watch. Sadly she is only a guest performer for the first week as other artists are invited to perform. The sultry tones of singer Stella Angelico were also very enjoyable to hear but yet again, she is only on for the first week. What is on every night is Maude's brilliant musical performance in the second half of the show, which was also the musical highlight of the evening, creating some tender and emotive responses from the audience. Similarly, the succeeding act by Anni was a touching, poignant moment which fuelled introspective thoughts. I've seen some of these performers do amazing things on stage and was incredibly excited to be seeing them again but I walked out of Retro Futurismus thinking that for all the bang and pop and retro aesthetics, it needed some more wow moments in substance to really draw me in. Hopefully the future guest artists will be able to match and even exceed the brilliance displayed by Shelton and Angelico.